How to maintain copper door? As a employee of KBB, the swing door manufacturer, I always pay attention to varies of doors. 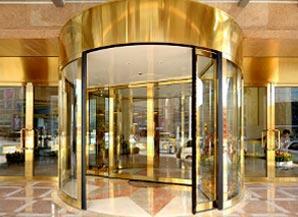 Automatic door, sliding door, wooden door or copper door. Today, I will share the maintain of copper door with you. 1. You can waxing the surface of the copper door regular or irregular. 2. You should not open the door lock frequently with your water stain, which prevent the door lock discoloration. 3. Opening the door lock or turn the door handle, you should not force too much, thus reducing the door lock life. 4. Warm is very important in cold winter, but you also pay attention to good indoor ventilation to maintain indoor humidity, which makes the door in the normal room temperature, humidity. 5. When you stucco wall, you need cover the copper door. In order to make product surface away from paint. I hope you can gain some useful information through the above. Surely If you need sliding door or swing door, you can contact us. KBB will be your right choice. Next: How to Build and Install a Sliding Door? JOIN OUR E-MAIL LIST Receive monthly wellness news and more!